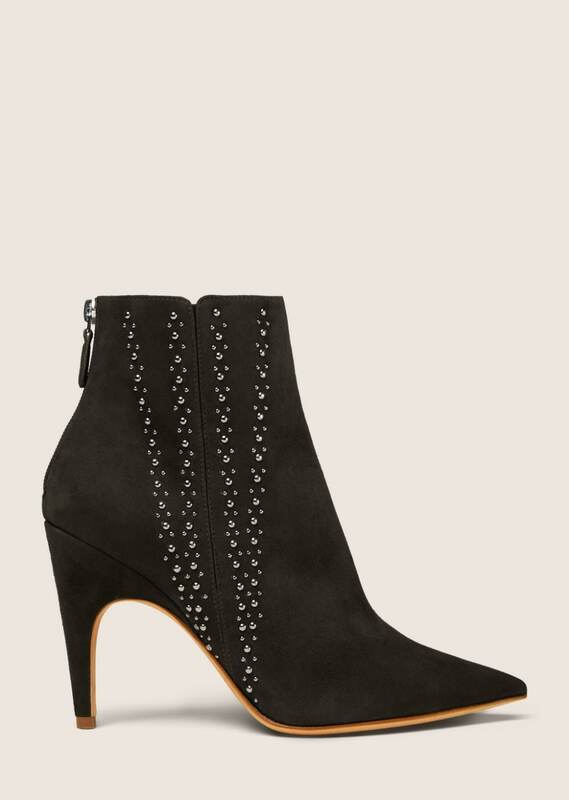 Stiletto heel ankle boot in black suede with linear silver-tone stud details through the sides. Back zip closure with suede pull. 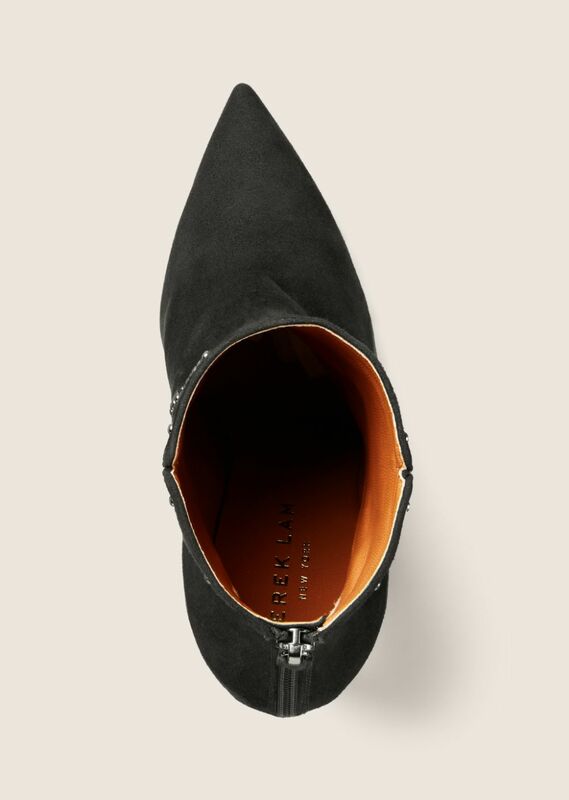 Suede-covered heel. Leather sole, insole, and lining. Handmade in Italy.